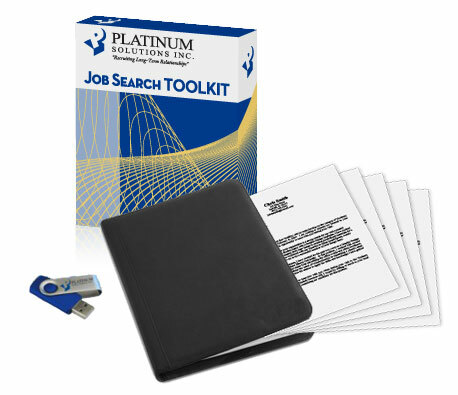 With the Platinum Solutions Job Search Toolkit, you can get a jump on the competition by quickly creating a professional profile that demonstrates your attention to detail, competency and highlights your strengths. You'd never run a marathon without training, so why start a career transition without this valuable information? This package (valued at $495) contains everything you'll need to communicate your objectives, demonstrate your skills, track your progress, and follow up on opportunities. USB Drive, Professional Binder, and Pen. Contact us at info@pshouston.com or 713-462-6414 to get to the companies you want to be talking to and to prepare you for the interview that could land you that job. Contact us now at info@pshouston.com or 713.462.6414 to arrange your FREE consultation and/or resume review!